For the last several years, Mason jars have been the hot item to serve beverages in at weddings, rehearsals and picnics. 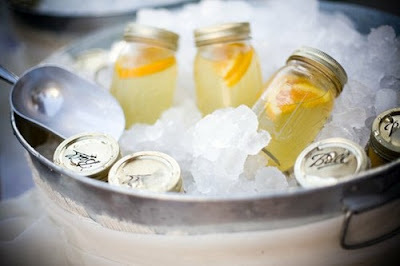 Last year we saw food in a jar start to pick up steam and I even used the jars to infuse vodka. 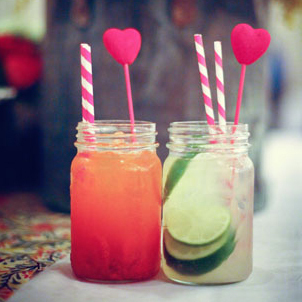 Now, thanks to Pinterest, people are doing some crazy, cute things with the popular jars. Before I show you some of the rad ideas, let’s first take a step back in history. Why are they called Mason jars? I consulted with my friends at Wikipedia and the Mason jar was invented in 1858 by John Landis Mason – a Philadelphia tinsmith. Ball Corporation was an earlier manufacturer of the jars, so they are also called Ball jars. Kerr is another common brand in the United States. 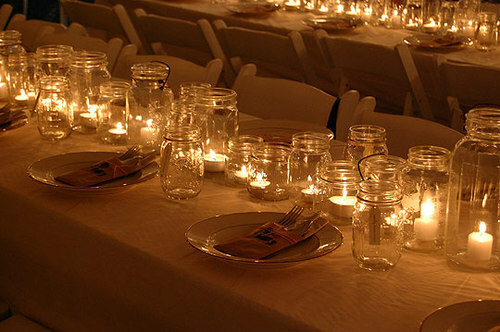 The jars were created for canning to preserve food. While the jars typically come with a lid, they are also sold separately because the lids are intended for single use when canning. There is even a song by the late, great John Denver called "Wildflowers in a Mason Jar!" 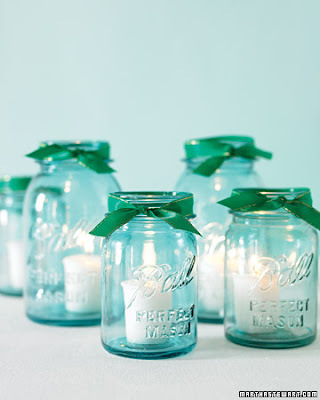 Now that you know the history behind the Mason jar, here’s how you can creatively use them. I used them as silverware holders in March! They also look awesome spray painted! 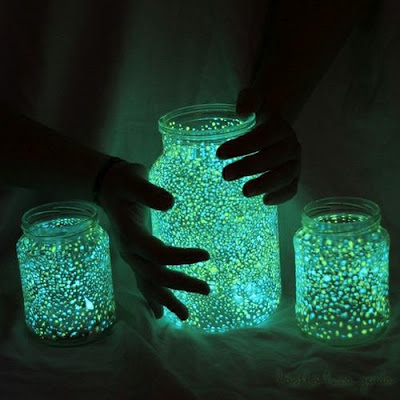 Glow-in-the-dark lights – all you need is some glow in the dark paint! Shot of Mom makes cake-in-a-jar treats! 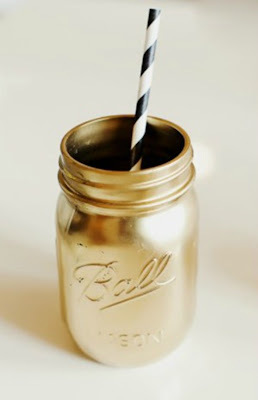 If you are looking for some more ideas Tip Junkie has 50 gift ideas in a jar and of course there is a "things in mason jars" Tumblr. 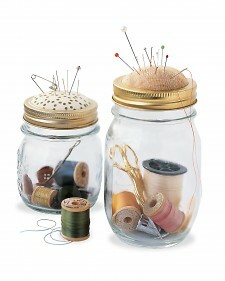 You can order Mason jars online or purchase them at your local gardening or craft store. I saw a limited supply at Michael’s for $1 today!